Heather Matson has spent the last 19 years working and volunteering in public policy, advocacy and development. Heather has always approached problem-solving by seeking to find common ground while holding true to her progressive principles, understanding that good ideas can come from anywhere if you are willing to listen and learn. Heather has a Bachelor of Arts in Government from Western New England College in Springfield, MA and a Master of Arts in Legislative Affairs from The George Washington University in Washington, DC. Heather and her husband, Chris Matson, moved to Iowa in 2003 for Chris to attend medical school at Des Moines University. It didn’t take long to fall in love with Iowa and decide to stay and raise a family here. They live in the Prairie Trail neighborhood of Ankeny with their eight-year old twins, Emma and Henry, and their dog, Tater. Chris is a family practice physician at Broadlawns Medical Center in Des Moines. Emma and Henry are in third grade at their neighborhood school, Prairie Trail Elementary. Heather’s passion for advocacy and dedication to improving public policy has led to a unique career in government affairs and politics. 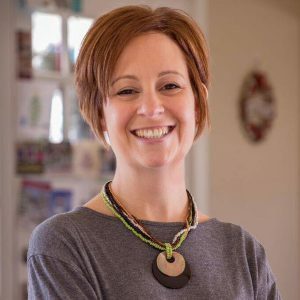 She has worked in several roles on presidential, congressional, and statewide campaigns, including those of then-Senator John Kerry, Congressman Leonard Boswell, Secretary of Agriculture candidate Dusky Terry, and former-Governor Tom Vilsack. Her issue advocacy has ranged from organizations as varied as the Chicago Mercantile Exchange to Planned Parenthood, demonstrating the importance of being committed to understanding our role in the global economy as well as access to quality health care services for our citizens. Most recently, Heather served as the Development Director for the Des Moines Social Club, a nonprofit arts and culture hub in downtown Des Moines which uses the arts as a catalyst to create unprecedented community engagement. Prior to that work, Heather was able to be at home with her children, which provided many other career and volunteer opportunities. She operated her own business as an independent consultant with The Pampered Chef for five years and contracted as a legislative bill tracker for Campbell/Patterson Consulting during five sessions of the Iowa General Assembly. Heather’s volunteer leadership during that time included serving a term as Vice Chair of the Iowa Democratic Party, where she focused on bringing a new generation of supporters into the Party structure, and as Chair of Planned Parenthood Voters of Iowa where she served as a passionate advocate for women’s health policy.